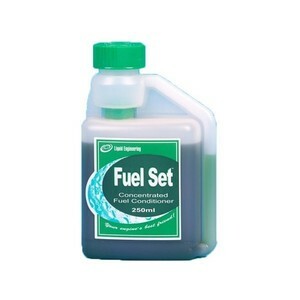 Fuel Set FCC is a complete fuel conditioner in one bottle. It will eliminate water from fuel systems, kill & dissolve the dreaded diesel bug, prevent filter blockage, reduce smoke emissions, prevent costly fuel related downtime and provide improved fuel economy. Use regularly to stay trouble-free.